The Creswell Club is a constellation of musicians who specialize in music that makes life better. 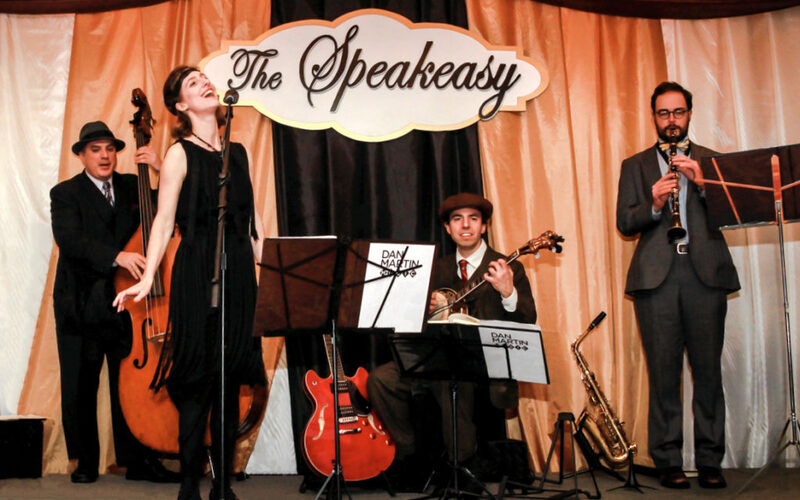 We’re rooted in jazz standards and music from the 1920s, but we’re experts at branching out; we can play everything from swing to bossa nova, Motown to the Rat Pack, Edith Piaf to Lana Del Rey. We play hard, we dress well, and we look like we’re having a blast (because we are!). 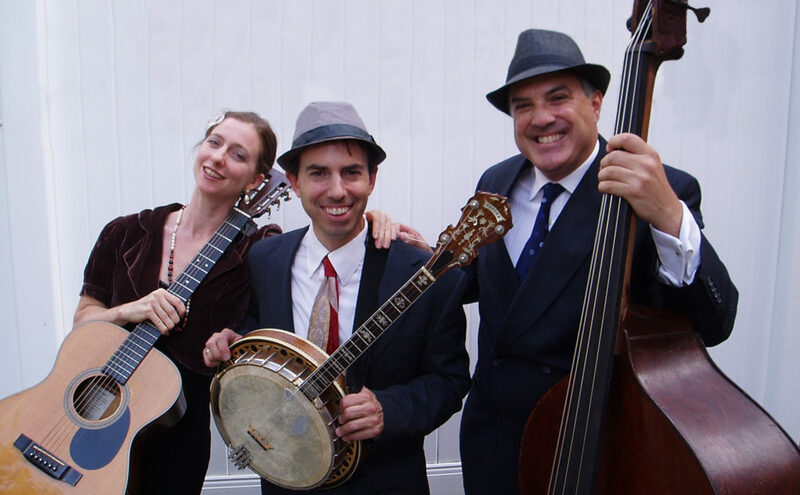 We can be anything from a duo to a septet—and, because several of our members are multi-instrumentalists, we offer guitar, piano, bass, drums, sax, trumpet, clarinet, banjo, accordion, and vocals. We’re led by our bassist, Dan Martin, who has performed with Kristin Chenoweth, Lenny Pickett, Makoto Ozone, Bruce Barth, and Stephen Sondheim. 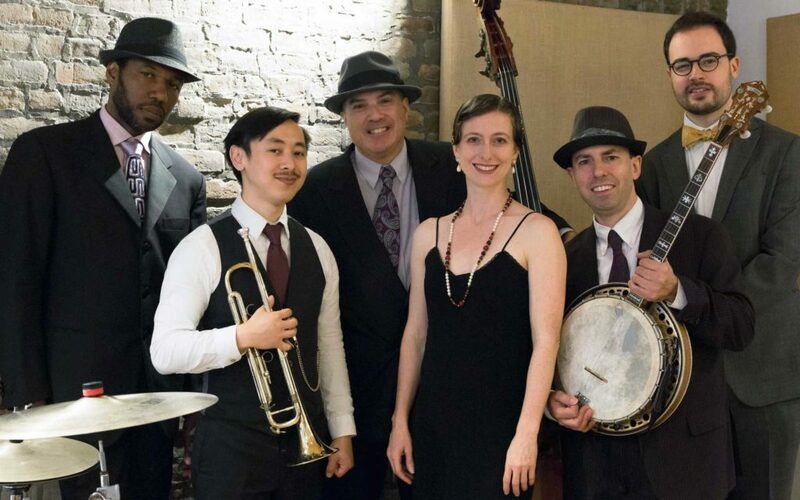 Members of The Creswell Club have played with the most celebrated names in modern jazz (and beyond), including Dave Brubeck, Vince Giordano, and Nellie McKay. But none of this matters when we’re playing together. When we’re playing together, what matters is the music. What matters is the mood. What matters is the moment we’re all sharing together—you, us, and the people in the room. If you’re planning an event, we’d love to hear from you. Contact Dan, and let’s talk about what’s possible.